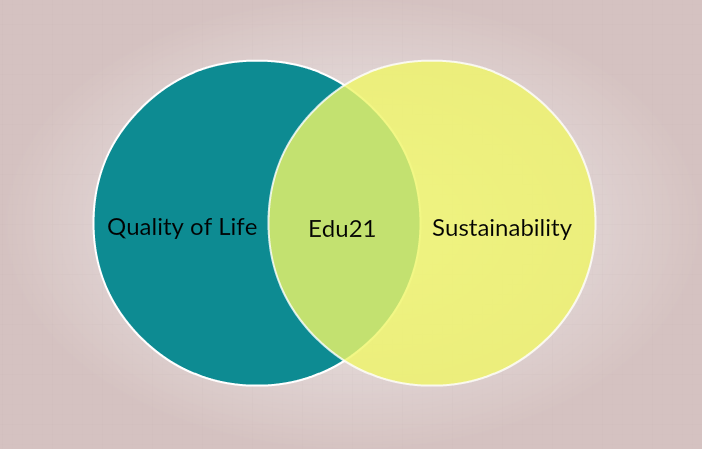 Edu21 is about using education to address the biggest challenges in the world today by educating students on sustainable development. It hopes to engender values of social inclusion, economic development, and environmental sustainability so that everyone can share in higher levels of quality of life, both today and in the future. That entails first identifying and prioritizing the biggest challenges. The largest problems in the world comprise threats from machine learning and artificial intelligence, climate change, biosecurity, nuclear security, poverty, inequality, ageing, and restrictions on migration and trade. To understand these problems in the present, the future, and the implications for education, the list of 57 books below was compiled to form a “syllabus” on understanding the most pressing global issues and what to do about them. The Short List of five books is intended as an efficient “crash course” foundation for thinking about these issues by considering the present and future, as well as educational implications. The Long List comprises 52 books, one for each week of the year, with the goal of more deeply and thoroughly exploring these three topics. Many of the problems are potentially solved or alleviated by machine learning, automation, and the development of artificial intelligence in the coming years. However, those solutions also pose some of humanity’s largest concerns: existential threat from a hostile AI system and large-scale unemployment from job loss due to automation without proper redistribution of the net gains. Even without any further breakthroughs in machine learning, many of the problems could be vastly ameliorated by opening up migration and trade restrictions further, thereby doubling or tripling world GDP. As long as this is done in a sensible manner that accounts for changes in population equilibriums and redistributes the gains to compensate losers, everyone in the world is potentially better off. In fact, both machine learning and migration result in the same situation - vast increases in wealth with large groups of people out of work or underemployed as the result of cheaper substitutions in either capital or labor. While these are the two areas with the largest potential for increased living standards, they also require nations striking a very delicate balance so that civil strife does not break out from increased pockets of intense suffering amongst specific populations. All of this implies radically reorienting education systems to focus on innovation and compassion. Creativity, innovation, and learning are the central drivers of increased living standards and compassion is the central driver ensuring all share in the benefits. Note: The lists are ordered by number of Amazon reviews (the number to the right of each title). I find this to be one of the simplest proxies for readability and engaging writing. Bolded titles are ones that I have yet to read or am in the process of reading, but am reasonably sure will be well worth the read due to author credentials, reviews, and topic. All the books are written by experts in their fields, the majority by PhDs who have spent their careers studying these topics. Many have worked with the UN and other international organizations. The list is open to change as my knowledge changes, either from more reading or input from all of you.